VA 291 #1: Appeared as a newly numbered route in 1923. Ran from VA 29 (curr US 17 Bus) Gloucester to Mathews. 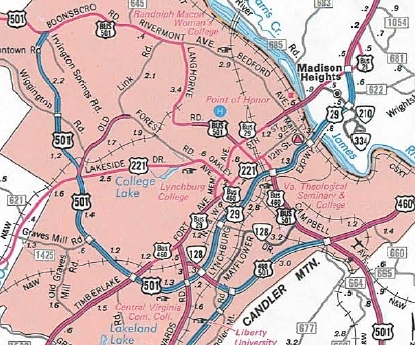 In March 1927 (CTB), VA 291 was extended southeast 4 miles towards Bayside. 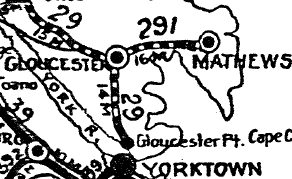 In Aug 1928, VA 291 was renumbered as VA 600 from Gloucester to Mathews and VA 38 from Mathews towards Bayside. 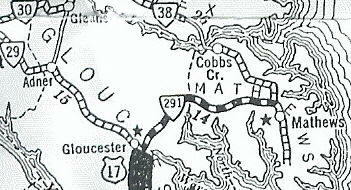 Today it is part of VA 14 except VA 291 used SR 691 near Wan and SR 623/690 near Nuttall. 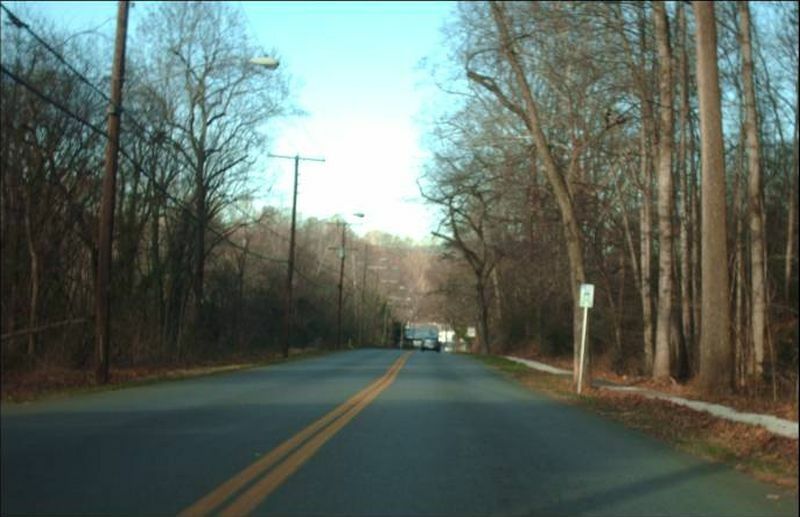 VA 291 #2: Appeared Oct 1935 (CTB) as a renumbering of a piece of US 460 on Old Forest Rd. outside Lynchburg. In 1976, VA 291 west was extended around over new construction to US 460 (curr US 460 Bus). During the planning phase this extension had briefly been designated as VA 265 first. 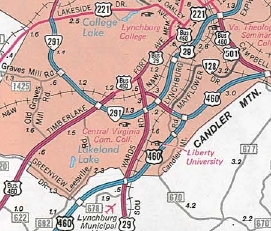 Around 1989, VA 291 was extended southeast to US 29 on the freeway, replacing US 460 which was moved to its current routing. 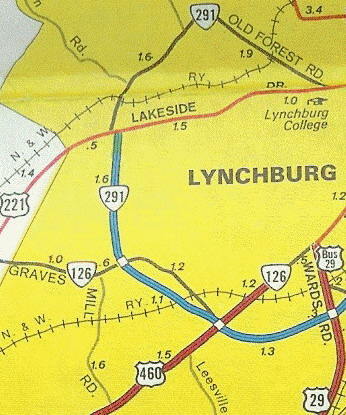 In 1990, the freeway portions of VA 291 became part of the US 501 Lynchburg Bypass. The rest of VA 291 was downgraded to simply Old Forest Rd.